Bernadette is a young 14 year old girl living in Lourdes, France. One day she sees a vision of a beautiful woman at a grotto. 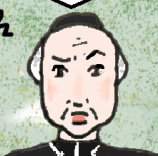 Abbé Peyramale is the parish priest at Lourdes, and is very skeptical at first of Bernadette and her visions. The mysterious lady whom Bernadette sees at the Grotto. 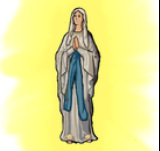 She asks for a chapel to be built there, and identifies herself as the Immaculate Conception.